The phrase ‘Here Be Dragons’ was a fanciful notation penned by ancient cartographers to denote the unknown. At Here Be Dragons we believe wonder is the beginning of a connection. 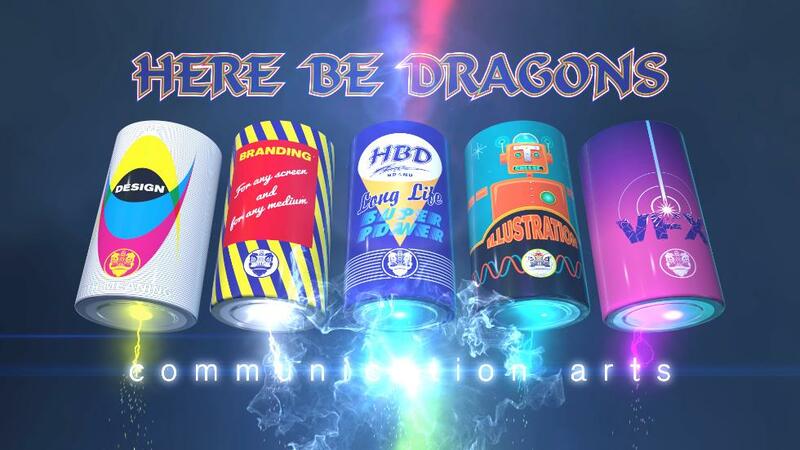 We are a creative communication arts company based in the UK that provides a comprehensive range of branding, design, illustration, VFX & animation services. We approach your design and business as we do our own – with dedication to the big picture and passion for the details. We design with meaning for any screen and for any medium. Our goal is simple: do great work with great people, giving each and every job and design our full attention from beginning to end. We always take a fresh challenging approach to bring your design and brands to life; providing a friendly, fun and welcoming experience in our mission, using insight and imagination, to make your design stand out and win.